Check out 90min's preview for ​Sunday's encounter below. Javi Gracia will be without Jose Holebas for Monday's game, after the left back injured his hamstring in their FA Cup win over ​Wolves. Domingos Quina remains out with a shoulder injury, while Tom Cleverley is still sidelined with a calf problem. Adalberto Penaranda continues to be unavailable for selection due to his own hamstring issue. 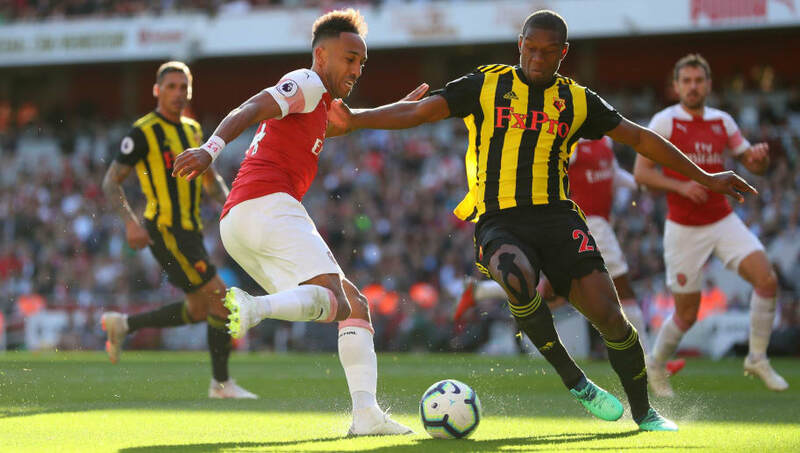 It's often a negative approach adopted by Emery when on their travels, a reluctancy to play both ​Pierre-Emerick Aubameyang and ​Alexandre Lacazette signals their intent, however, it may be something they could get away with if they weren't playing Watford.